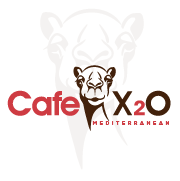 Established in 2012, Cafe X2O began with a simple concept of offering authentic Lebanese cuisine in a welcoming environment and fittingly so called it X2O, “two kisses and a hug”. By combining old family recipes and a vision of a modern casual café with hookah smoking, welcoming service and late lounge hours, contributed to the immediate success of Cafe X2O as a local favorite. Our Motto: True commitment to valuing our guests experience along with friendships between owner and staff alike - without ever compromising the quality of food - will surely result in repeat customers. A hard working staff, from our servers to the kitchen crew using the highest grade ingredients, provides an excellent dining experience. X2O’s customers’ support has led to five locations along the Foothill corridor from Claremont to South Pasadena. Each offering a unique experience, we hope you too will find your favorite. 1 North Indian Hill Blvd.